ChiroThin can help you lose a significant amount of weight and feel great! Have you struggled with your weight? Are you feeling tired during the day? Let us help you achieve the lifestyle you desire, so you can enjoy your life to the fullest. You’re welcome to participate in our weight loss program whether you’re an established patient or have never been to our office before. 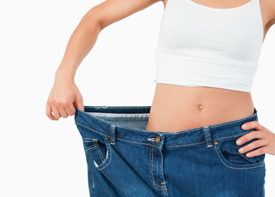 Our 42-day weight loss program is supervised by Dr. J with weekly visits. We’ll take your blood pressure, body measurements and weight while we discuss how your week has been. Losing 20 to 30 pounds can have an amazing effect on your life! This specific program gives you a supplement during a low-calorie dietary program. There are no prepackaged foods. You’ll learn to eat correctly, saving money in the process. Eating the wrong foods change the metabolism in your body. This change can cause the weight to come back. We’ll reset your body’s metabolism and make any needed changes along the way. Dr. J is passionate about our weight loss program. She has over 20 years of nutritional expertise and loves working with our patients and seeing their great results. Call today and we’ll invite you to our office for a no-cost, no-obligation consultation. There’s no pressure, because this needs to be your decision and you must be ready for it. If you decide it’s right for you, we’ll get you started on an amazing adventure that will give you positive life changes.